Some Australian have ancestors who came here over 50,000 years ago and were, according to research published in Nature, the worlds earliest explorers. The cultures of our Indigenous people’s are rich and diverse and represent some of the oldest living cultures on earth. There are, for example, almost 150 Indigenous languages in daily use in Australia and wile many are at risk of being lost, but there are effort to revive and protect this important part of our national heritage. Others can trace their ancestry to the arrival of the First Fleet. Many on the first fleet were convicts, others were soldiers or civil servants sent to run the colony. In all 1480 men, women and children were on the first fleet. Most of them were British, but a few were from African, American and France. 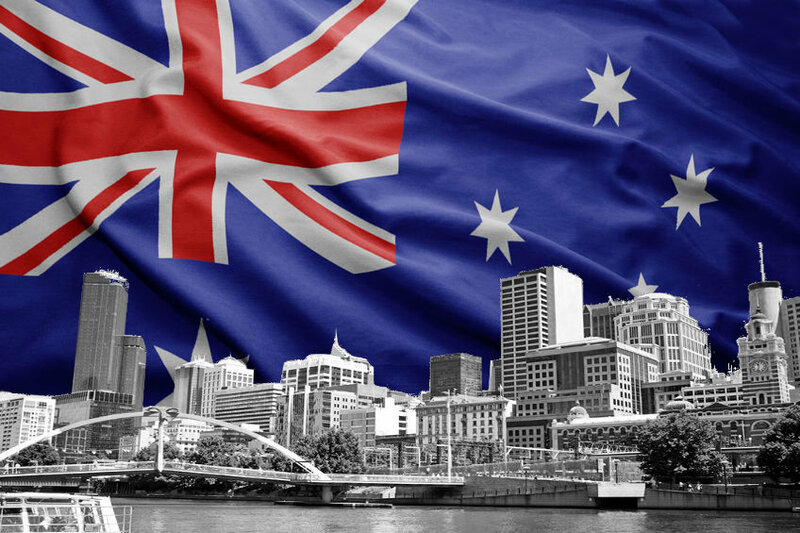 The British colony of NSW was officially established with a ceremony at Sydney Cove on January 26, 1788. Data from the 2016 census shows that over half the people in Australia were either born overseas or have at least one parent who was born overseas. People from all over the world have settled in Australian and now call this land their home. What makes us Australian? We’re Australian because we are a part of this amazing country. We have a shared culture, shared values and a shared language. Our culture is an inclusive one that celebrates our diversity. “We have become some of the most eclectic eaters in the world” according to food writer Cherry Ripe (“Goodbye Culinary Cringe”, 1993). 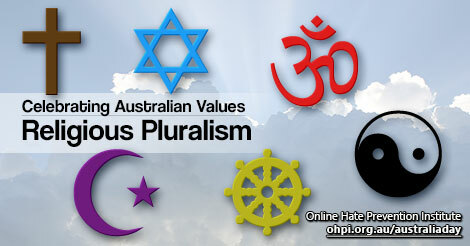 Our values include support for multiculturalism and religious diversity. We also have strong home grown traditions, like mateship with a history tracing back to our soldiers in the Great War. Our diversity and values are something we have developed over time. It wasn’t always this way. The “White Australia” policy that existed at Federation and sought to promote Australia not as its own country with its own values and identity, but as an extension of the United Kingdom. At that time Indigenous Australians weren’t counted as part of Australia’s population (which meant the population on paper was more “white”), the British Parliament could still make laws for Australia, and our courts were subject to decisions made in the UK. We weren’t yet in control of our own destiny and weren’t yet promoting our own values. Today, those who would support such policies, excluding people from our society on the basis of where they were born, the religion they practice, or the colour of their skin, would be regarded as un-Australian by the vast majority of the population. 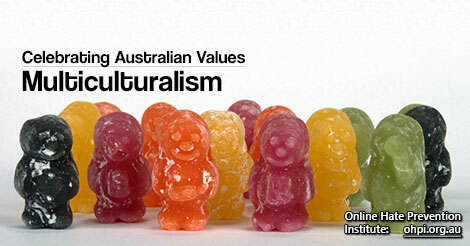 The Scanlon Foundation’s Mapping Social Cohesion Reports have been examining Australian attitudes to race since 2007. Following the release of the 2017 report, its lead author Prof. Andrew Markus warned that we were not as resilient as we thought. While those promoting racism were a minority, they were increasingly vocal and the trend was for their views to be given more space. He explained the results saying, “it doesn’t mean everyone across the population is engaging in discrimination. What I think this more means is that that minority which has strongly set its face against diversity, set it face again multiculturalism and so on, they’re emboldened to act out their feelings, that the environment legitimates that”. Building resilience means reasserting our values. 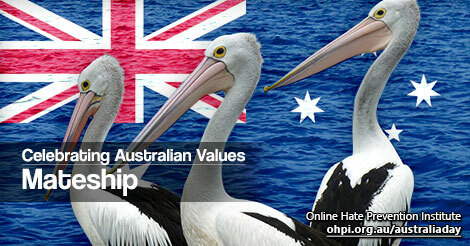 It means actively being inclusive and demonstrating that we both support and live our Australian values. It means sticking up for your mates when they come under pressure from those seeking to exclude them. It means standing together to oppose those who promote an agenda of racism and discrimination. 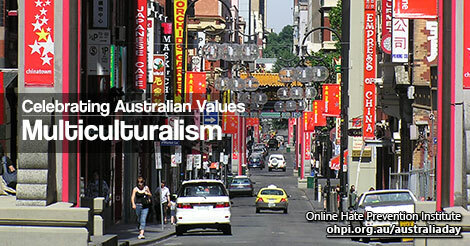 Whether it is inviting the neighbors to join your BBQ, saying good morning as you pass someone during your morning walk, or giving up a seat on the train to someone who needs it more, each time we interact positively with others, it reinforce the message of our values, that we are all Australian, we are all welcome here and that we all belong. In the face of that unity, warmth and inclusion by ordinary people, those promoting hate don’t stand a chance. You can comment on this article on the dedicated Facebook post here. 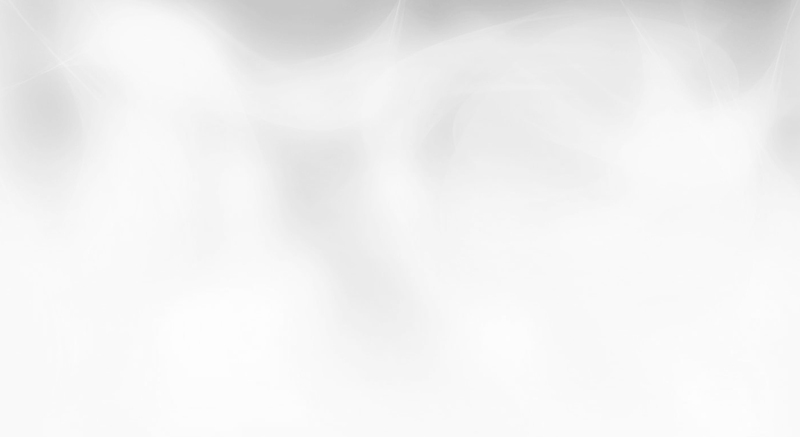 The Online Hate Prevention Institute is a Registered Australian Charity. Our work is supported by donations from the public ad as a very small charity, every donation makes a huge difference to us. You can donate to support our work using the charity donation button on this Facebook post.